hope you could follow back! by the way, i hope it’s ok that i add this blog to my food blog! thanks! Came here from WBFC # 14. already a follower sis….hope you can follow me back.. and please like my newly created FB Page too.. thanks..
your Ramen looks good..its raining now and would like to have one now..hehe. 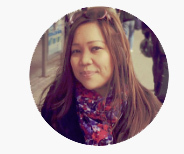 Followed you here using “Pinay Mommy”! !